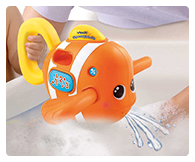 Fill with water and pour out for fun songs and phrases. 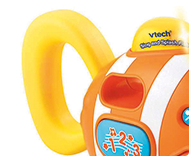 Introduces numbers, music and sound effects. 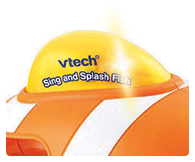 Encourages cause and effect relationships. 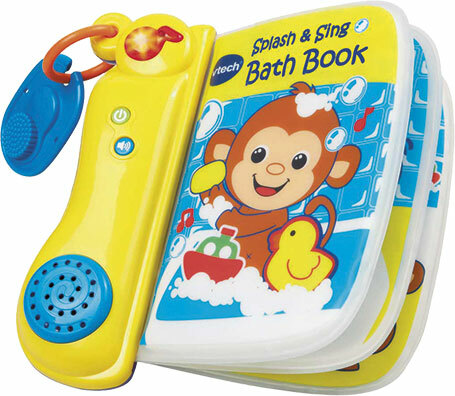 Interactive bath book that features soft, pliable pages with easy to press buttons that play sounds, melodies and sung songs. 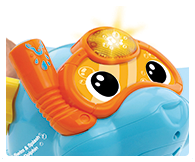 Twist the starfish to make the penguin swim! 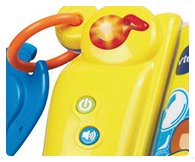 Light up button plays phrases, sounds, songs and melocges. 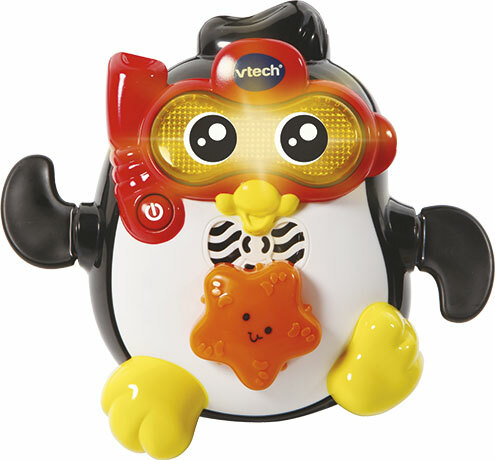 Teaches penguin facts! 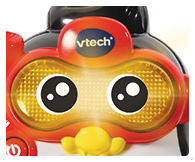 Press the light up mask button to hear fun phrases, sounds, 2 sing-along songs and 10 melodies. 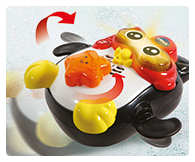 Twist the starfish on the Penguin's tummy to wind up the penguin and see him splash and swim. 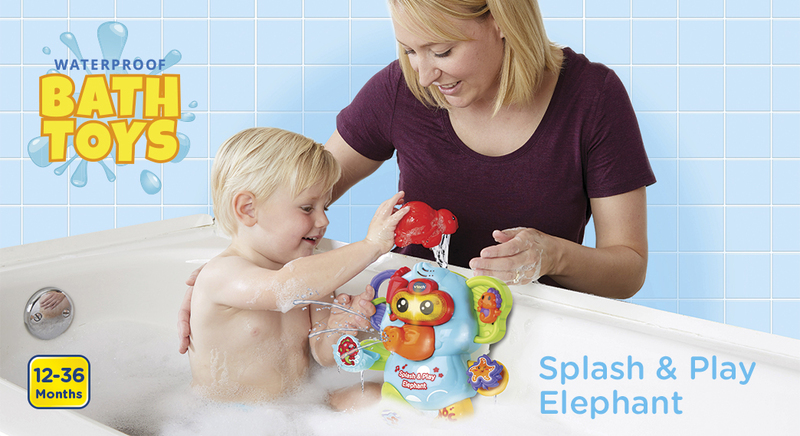 Interactive bath time dolphin plays Our phrases and sounds. 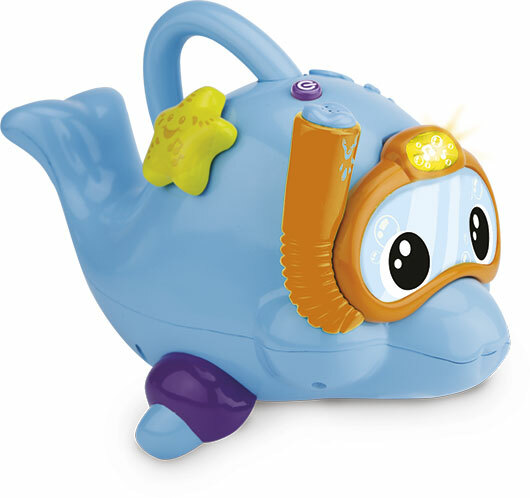 Introduces dolphIn name and sounds. 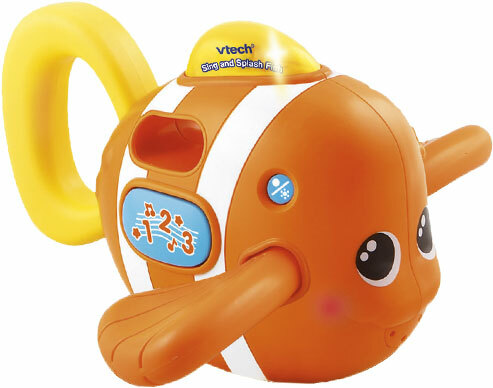 Plays 3 sing-along songs and 20 melodies. 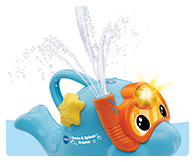 Cute interactive bath time dolphin recognises when water is poured onto it by playing fun phrases and sounds.